The Defense Security Cooperation Agency has released the following notice of approval for the sale of eight MH-60R ASW helicopters with associated equipment and weapons for the Mexican Navy valued at $1.2B. ­­­WASHINGTON, Apr. 19, 2018 – The State Department has made a determination approving a possible Foreign Military Sale to Mexico of MH-60R Multi-Mission Helicopters for an estimated cost of $1.20 billion. The Defense Security Cooperation Agency delivered the required certification notifying Congress of this possible sale on April 18, 2018. The Government of Mexico has requested to buy eight (8) MH-60R Multi-Mission Helicopters, equipped with: twenty (20) T-700 GE 401 C engines (16 installed and 4 spares); sixteen (16) APS-153(V) Multi-Mode radars (8 installed, 8 spares); ten (10) Airborne Low Frequency Systems (ALFS) (8 installed and 2 spares); fourteen (14) AN/APX-123 Identification Friend or Foe transponders (8 installed and 6 spares); twelve (12) AN/AAS-44C Multi-Spectral Targeting Systems Forward Looking Infrared Systems (8 installed, 4 spares); twenty (20) Embedded Global Positioning System/Inertial Navigation Systems (EGI) with Selective Availability/Anti-Spoofing Module (16 installed and 4 spares); thirty (30) AN/AVS-9 Night Vision Devices; one thousand (1,000) AN/SSQ-36/53/62 Sonobuoys; ten (10) AGM-114 Hellfire missiles; five (5) AGM-114 M36-E9 Captive Air Training missiles; four (4) AGM-114Q Hellfire training missiles; thirty eight (38) Advanced Precision Kill Weapons System (APKWS) II rockets; thirty (30) Mk -54 Lightweight Hybrid Torpedoes (LHTs); twelve (12) M-240D machine guns; twelve (12) GAU-21 Machine Guns (an improved .50 cal. evolved from the M2–Chuck). Also included are twelve (12) AN/ARC-220 High Frequency radios; spare engine containers; facilities study, design, and construction; spare and repair parts; support and test equipment; communication equipment; ferry support; publications and technical documentation; personnel training and training equipment; U.S. Government and contractor engineering, technical and logistics support services; and other related elements of logistical and program support. The total estimated value is $1.20 billion. This proposed sale will support the foreign policy and national security of the United States by helping to improve the security of a strategic regional partner. Mexico has been a strong partner in combating organized crime and drug trafficking organizations. The sale of these aircraft to Mexico will significantly increase and strengthen its maritime capabilities. Mexico intends to use these defense articles and services to modernize its armed forces and expand its existing naval and maritime support of national security requirements and in its efforts to combat criminal organizations. The proposed sale will improve Mexico’s ability to meet current and future threats from enemy weapon systems. 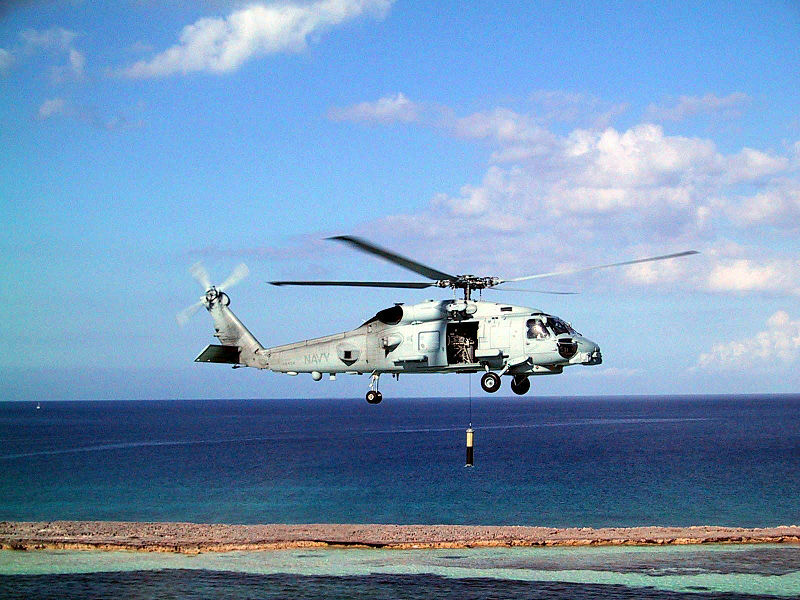 The MH-60R Multi-Mission Helicopter will enable Mexico to perform anti-surface and anti-submarine warfare missions and secondary missions including vertical replenishment, search and rescue, and communications relay. Mexico will use the enhanced capability as a deterrent to regional threats and to strengthen its homeland defense. Mexico will have no difficulty absorbing this equipment into its armed forces. The principal contractor will be Lockheed Martin Rotary and Mission Systems in Owego, New York. There are no known offset agreements in connection with this potential sale. Implementation of this proposed sale will require the assignment of additional U.S. Government and/or contractor representatives to Mexico. Note the video does not really start until approximately time (17m08s). You can look here for the FY2018 budget request. I haven’t found the actual final FY2018 as enacted. You can find more information including all the prepared statements and the subcommittee chairman’s opening remarks here. This subcommittee has been highly supportive of the Coast Guard, and we see the same in this hearing. The chairman, Duncan Hunter (R, CA), (17m30s) expressed his opinion that the Coast Guard was not fairing well under the Department of Homeland Security (DHS). He also noted the apparent obstruction of measures of effectiveness by DHS. Ranking member, John Garamendi (D, CA), (22m) noted that there had been a welcomed significant bump in Coast Guard funding, but questioned if this would continue or would it prove an anomaly. He noted that attempting to stop drug trafficking would be better served by putting more money into the Coast Guard than by building a border wall. (29m30s) The Coast Guard’s unfunded priority list, submitted long ago is still hung up in the administration. (33m30s) MCPO Cantrell addressed quality of life concerns. (55m30) Ranking member Garamendi noted the addition of $720M added to the budget for Heavy Polar Icebreaker(s) (HPIB) in addition to $30M already in the budget, and stated that he saw this as money for the second icebreaker because the DOD was not relieved of their obligation to fund a HPIB. (1h03m) Commandant expressed his confidence in the helicopter life extension programs expected to keep them in operation until 2033 when the Coast Guard would be able to join in the Army lead Future Vertical Lift program. He suggested that a single helicopter type might be able to replace both the MH-65 and MH-60s. (1h07m) Commandant answering a question about AMIO in the Caribbean noted that the Webber class Fast Response Cutters (FRC) we working well in this role, but there is a shortage of ISR assets that he believed might be addressed by land based unmanned air systems (UAS). (1h17m) In answer to a question about replacement of the Island Class six 110 foot Island class cutters currently assigned to CENTCOM as PATFORSWA, the Commandant, noting the 110s would time out in 2022, said this has been discussed at the highest levels with the Navy and there was a possibility that Webber class replacements could be funded by the Navy. Interestingly, he also noted that the Navy’s Cyclone class patrol craft would time out in 2023 suggesting to me perhaps he believes the Navy is considering a version of the Webber class. (1h39m) Concern was expressed that while the Commandant has consistently expressed a need for $2B annual in the AC&I account (now PC&I) and $1.8B was provided in FY2018 and $1.9B in FY2019, that the current projection is only $1.4B in FY2020. There is also a note on a change in accounting procedure. In FY 2019, the Coast Guard will transition to the DHS Common Appropriations Structure (CAS). Accordingly, activities funded through the previous Operating Expenses, Reserve Training, Environmental Compliance and Restoration, and Medicare Eligible Retiree Health Care Fund Contribution are included as part of the new Operations and Support (O&S) account. In addition, acquisition personnel costs previously funded through the Acquisition, Construction, and Improvements account ($118.2m in the FY2018 budget request–Chuck) are included as part of the O&S account. The Acquisition, Construction, and Improvements account transitions into the Procurement, Construction, and Improvements account and the Research, Development, Test and Evaluation account becomes the new Research and Development account. Below is the summary information on the PC&I section that replaces the AC&I portion of the budget. No funding for the Alteration of Bridges program in FY 2019. The program did not receive funding in FY 2017 or FY 2016. Established by the Truman-Hobbs Act of 1940 (33 U.S.C. 511 et. seq. ), the Alteration of Bridges program authorizes the Coast Guard to share with a bridge’s owner the cost of altering or removing privately or publicly owned railroad and highway bridges that are determined by the Service to obstruct marine navigation. Below you will find “TESTIMONY OF ADMIRAL PAUL F. ZUKUNFT COMMANDANT, U.S. COAST GUARD ON “THE COAST GUARD’S FISCAL YEAR 2019 BUDGET REQUEST” BEFORE THE HOUSE COAST GUARD AND MARITIME TRANSPORTATION SUBCOMMITTEE” which I have copied in full. Mr. Chairman and distinguished members of the Committee, I appreciate the opportunity to testify today. Thank you for your enduring support of the United States Coast Guard, particularly the significant investments provided in the FY 2017 Consolidated Appropriations Act, recent Hurricane Supplemental, and ongoing deliberations to support our FY 2018 and FY 2019 President’s Budget requests. As the world’s premier, multi-mission, maritime service, the Coast Guard offers a unique and enduring value to the Nation. The only branch of the U.S. Armed Forces within the Department of Homeland Security (DHS), a federal law enforcement agency, a regulatory body, a first responder, and a member of the U.S. Intelligence Community – the Coast Guard is uniquely positioned to help secure the maritime border, combat transnational criminal organizations (TCO), and safeguard commerce on America’s waterways. The Coast Guard’s combination of broad authorities and complementary capabilities squarely aligns with the President’s national security and economic prosperity priorities; furthermore, it offers an agile toolset to address the Nation’s most pressing challenges. Appropriately positioned in DHS, the Coast Guard is a military service and a branch of the Armed Forces of the United States at all times.1 We are also an important part of the modern Joint Force2 and currently have forces assigned to each of the five geographic Combatant Commanders, as well as Cyber Command. As demonstrated in the 2017 record hurricane season, the Coast Guard is the Nation’s “maritime first responder” and plays a leading role in executing the National Response Plan (NRP) for disaster situations. Our ability to rapidly surge in response to emerging threats or contingencies are critical to success across the spectrum of missions we prosecute. We live in an increasingly volatile, uncertain, complex, and ambiguous world. Rapid technological advancement, increasing globalization, and intensifying threats from state and nonstate actors alike challenge international norms and threaten global governance. To ensure we meet the demands of today while preparing for tomorrow, the Coast Guard is guided by a five-year Strategic Intent and suite of regional and functional strategies that drive our Service’s operations and investments. These strategic efforts are informed by the National Security Strategy and applicable DHS strategies, and are coordinated to augment Department of Defense (DoD) priorities. Using these strategies as guideposts, leveraging the intelligence community, and employing a risk-based approach to focus our limited resources allows us to address maritime threats with the greatest precision and effect. Fueled by the Service’s unique authorities and capabilities, our Western Hemisphere Strategy continues to yield large-scale successes in our counter-drug mission. The Coast Guard’s persistent offshore presence and associated interdiction efforts sever the supply lines of criminal networks where they are most vulnerable—at sea. Leveraging over 30 multilateral and bilateral agreements with a host of government organizations, the Coast Guard’s long-term counter-TCO efforts promote stability and strengthen the rule of law throughout these regions. Working with interagency partners, the Coast Guard seized 223 metric tons of cocaine and detained and transferred 606 smugglers for criminal prosecution in FY 2017. Highlighting our record-breaking mission performance for drug interdiction was the STRATTON’s offload of over 50,000 pounds of illicit narcotics, with an estimated street value of over $6.1 billion. This was a result of collaborative efforts between four U.S. Coast Guard cutters, DHS maritime patrol aircraft, and a U.S. Navy ship in over 25 separate interdictions. Beyond the important task of removing cocaine from the illicit system that gets it to U.S. streets, prosecuting smugglers facilitates deeper understanding of TCOs and ultimately helps our unified efforts to dismantle them. Without question, National Security Cutters (NSC) have been a game-changer not only for our drug interdiction and counter-TCO operations in the southern maritime transit zone, but also in contributing to other national security priorities, such as supporting DoD Combatant Commander requirements across the globe and projecting sovereign rights in the Arctic. Looking forward, the Offshore Patrol Cutter (OPC) will provide the tools to more effectively enforce Federal laws, secure our maritime borders, disrupt TCOs, and respond to 21st century threats. Continued progress on this acquisition is absolutely vital to recapitalizing our aging fleet of Medium Endurance Cutters (MECs), some of which will be over 55 years old when the first OPC is delivered in 2021. In concert with the extended range and capability of the NSC and the enhanced coastal patrol capability of the Fast Response Cutter (FRC), OPCs will be the backbone of the Coast Guard’s strategy to project and maintain offshore presence. As one of the five Armed Forces, the Coast Guard deploys world-wide to execute our statutory Defense Operations mission in support of national security priorities. On any given day, 11 cutters, two maritime patrol aircraft, five helicopters, two specialized boarding teams, and an entire Port Security Unit are supporting DoD Combatant Commanders on all seven continents. In the Middle East, our squadron of six patrol boats continues to police the waters of the Northern Arabian Gulf in close cooperation with the U.S. Navy, promoting regional peace and stability. Likewise, as one of the principal Federal agencies performing detection and monitoring in the southern maritime transit zone, the Coast Guard provides more than 4,000 hours of maritime patrol aircraft support and 2,000 major cutter days to DoD’s Southern Command each year. In the high latitudes, the Arctic region is becoming increasingly accessible at a time when global interests in energy, clean water, and subsistence continue to intensify. The Coast Guard is committed to the safety, security, and environmental stewardship of the Arctic, and we will remain closely engaged with our partners, including Russia, via the Arctic Coast Guard Forum. By focusing on collaboration over conflict, we are promoting governance and building a shared approach to prevention and response challenges in the region. Meanwhile, the 42-year old POLAR STAR recently completed another Operation DEEP FREEZE patrol in Antarctica. Just one major casualty away from leaving the Nation without any heavy icebreaking capability, POLAR STAR supported U.S. strategic interests and the National Science Foundation by breaking a navigable shipping lane to deliver fuel and critical supplies to the U.S. base at McMurdo Sound. I appreciate your support for the $150 million appropriated in Shipbuilding and Conversion, Navy (SCN) funding in the FY 2017 Omnibus. This is a great step forward to secure our future in the Polar Regions and finally recapitalize the Nation’s icebreaker fleet. This funding coupled with the $750 million in the FY 2019 President’s Budget, would enable the Coast Guard to award a contract for detail design and construction and deliver the first new heavy polar icebreaker in 2023. These critical investments reflect our interests and standing as an Arctic Nation and affirm the Coast Guard’s role in providing assured access to the Polar Regions. 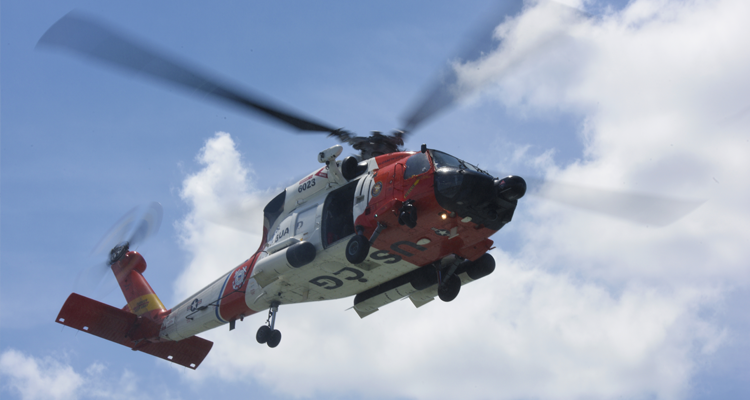 At the same time the Service was conducting counter-drug missions in the Eastern Pacific and projecting sovereign rights in the Arctic, the Coast Guard also launched one of the largest responses in history during a historic 2017 hurricane season. Over a five week period, Hurricanes HARVEY, IRMA, MARIA, and NATE impacted over 2,540 miles of shoreline3, and Coast Guard men and women in helicopters, boats, cutters, vehicles and on foot rescued over 11,300 people and over 1,500 pets. During our 2017 hurricane response, the Coast Guard resolved over 1,269 aids to navigation discrepancies, handled 290 pollution cases, located and assessed more than 3,623 grounded vessels, with more than 1,585 removed to date. Within hours after each storm’s passage, Coast Guard damage and recovery assessment teams were on-scene determining the status of ports and waterways, leveraging electronic aids to navigation when feasible to facilitate the rapid reopening of key ports and waterways, and assessing impacts to Coast Guard facilities and capabilities. This enabled a vital portion of the country’s waterways to reopen, helping maintain our Maritime Transportation System (MTS) which contributes $4.6 trillion annually to our Gross Domestic Product. The daily activities of Coast Guard men and women are heroic, as they support nearly every facet of the Nation’s maritime interests, protect our homeland, and secure our economic prosperity. In addition to the hurricane responses, the Coast Guard prosecuted over 16,000 search-and-rescue cases and saved more than 4,200 lives; interdicted more than 2,500 undocumented migrants; completed over 9,100 Safety of Life at Sea safety exams on foreign vessels; and responded to over 12,200 reports of pollution incidents. Beyond operations, we earned our fifth consecutive clean financial audit opinion – the only Armed Service that can make such a claim. Further, our major acquisition programs and product lines are delivering new assets on schedule and on budget that have proven to meet our operational requirements. To better guide our modernization, we developed a Long Term Major Acquisitions Plan (LTMAP), a roadmap to field modern platforms to address 21st century threats. We have been working with the Administration to finalize the details of the LTMAP and are committed to delivering this report to Congress as soon as possible. Our greatest strength is undoubtedly our people. Coast Guard operations require a resilient, capable workforce that draws upon the broad range of skills, talents, and experiences found in the American population. In FY 2019, the Coast Guard will maintain a proficient, diverse, and adaptable workforce that responds effectively to changing technology, an increasingly complex operating environment, and dynamic partnerships. Together, modern platforms and a strong, resilient workforce will maximize the Coast Guard’s capacity to meet future challenges. History has proven that a responsive, capable, and agile Coast Guard is an indispensable instrument of national security. Funding 21st century Coast Guard platforms and people are especially prudent investments given today’s challenging fiscal environment. I firmly believe no other investment will return more operational value on every dollar than the extraordinary men and women of the U.S. Coast Guard—which includes 48,000 Active Duty and Reserve members, 8,500 civilians, and over 27,000 volunteer members of the Coast Guard Auxiliary. As illustrated by our sustained response to an historic hurricane season, another record year removing illicit narcotics from the maritime approaches, and unique support to Combatant Commanders around the globe; our ability to rapidly surge resources to emerging threats continues yield unprecedented results for the Nation. With the continued support of the Administration and Congress, the Coast Guard will continue to live up to our motto – Semper Paratus – Always Ready. Thank you for all you do for the men and women of the Coast Guard. The Acquisitions Directorate (CG-9) is reporting that a Service Life Extension Program (SLEP) has been approved for the service’s MH-60Ts. This is intended to add 10,000 hours to the life of the aircraft and keep it viable into the mid 2030s when they will be replaced by a product of the Army managed “Future Vertical Lift” program. Navy Times is reporting that Coast Guard Air Station Kodiak C-130s will be replaced with more capable C-130Js by 2020. Higher speed, longer range, shorter take-off and landing, better climb rate, better sensors, more intuitive cockpit, better terrain avoidance. Not bad. Just wanted to mention a link I recently added to the “References” page. 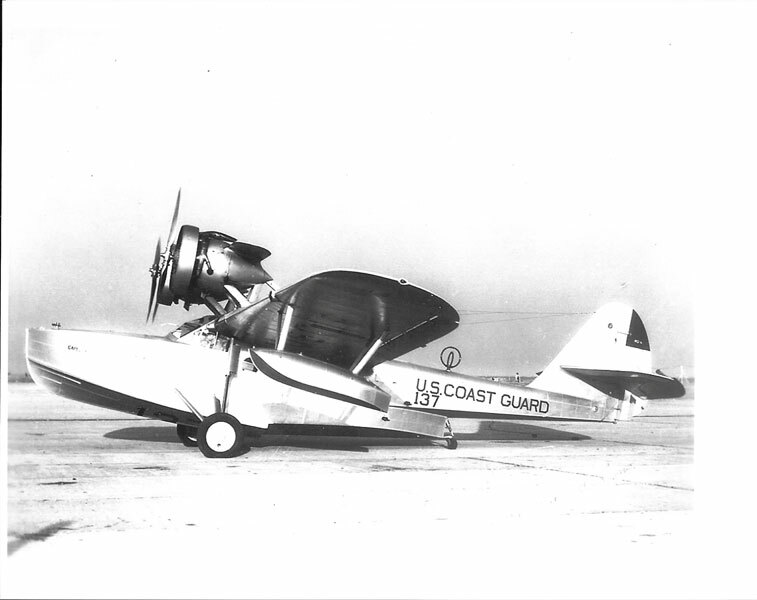 “Aircraft Used in Coast Guard Aviation” has photos and links to information about what appears to all the aircraft the Coast Guard has used throughout its history. This is a project of the Coast Guard Aviation Association. They also have a chronological history, accounts of notable SAR cases, and a section called “In their own words” that includes historical narratives, hangar tales, and oral histories. Caller.com reports that the Coast Guard has begun moving aircraft from Naval Air Station Corpus Christi to a new facility at the Corpus Christi International Airport. The move was accelerated because of damage to the Naval Air Station facility that resulted from Hurricane Harvey.